Maureen is a consummate professional, delivering high-energy, thought provoking programs that perfectly suit the forward-thinking vision you want your organization to incorporate. 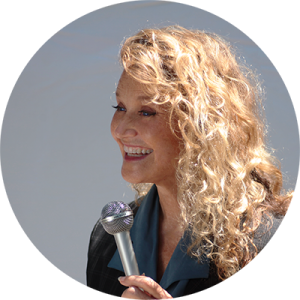 Her dynamic, customized, and compelling talks help bring her audiences to a higher awareness of their capability to be outstanding, bringing a new-found sense of success to their professional and personal lives. No other speaker out there can so deftly pull an audience into realizing their infinite potential while bringing such engrossing real-world experience, knowledge and passion to the table. We honor all bureau contacts, maintain fee integrity and we’re happy to work with you to easily wrap up an agreement. We will provide you with first-class, professional program and marketing materials, which are bureau friendly. We are also happy to customize them for you. Let us help you make your event a spectacular success! Visit our main corporate website for the important forms you will need to book Maureen to speak, and to see a complete list of all the topics Maureen speaks about. We hope these assist you in your pre-event planning and publication processes. If you need other materials, please contact us. You would be hard pressed to find a more inspiring speaker than Maureen Whitehouse. She has the uncanny ability to deeply connect with any audience and motivate them toward greater teamwork, connectivity and more authentic relationships. President and CEO, Science Futures Inc. Since your wonderful Soul-Full Eating talk at Whole Foods I use all 5 of my senses whenever I shop, prepare food and especially when I eat… I even smelled the olive oil as I poured it into a bowl yesterday. This Soul-Full approach has not only helped me to eat better but to catch those moments we so often flit or worry away. When Maureen speaks you cannot help but listen. Her words feed the spiritually hungry the most delectable feast. Participants are called to expand, evolve, forgive, accept and allow more Grace into their lives. Her audience leaves feeling more grateful, inspired, enriched, healed, humbled and safe.